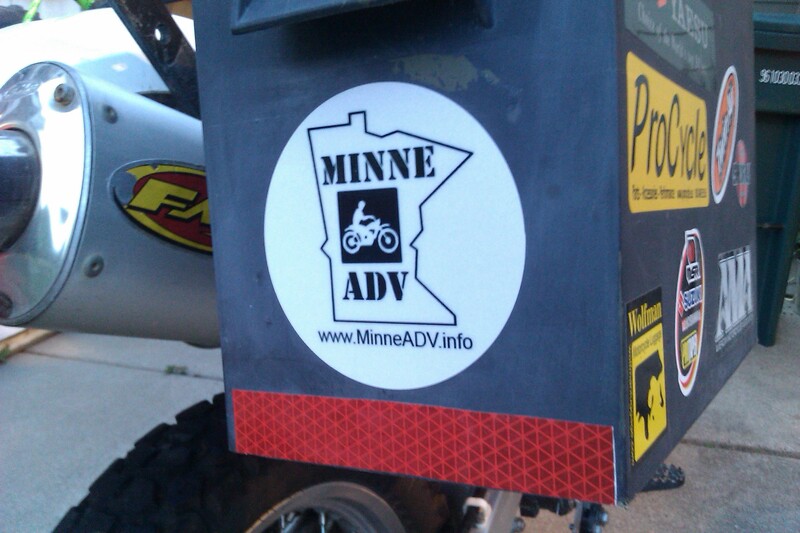 A local shop has produced some very nice 4″ Minne ADV stickers on 3M Reflective film. This stickers are both cool looking and functional. Click here to purchase and make sure and include your mailing address. We make no profit on these. Its just one way to promote the website, TMAT, etc. This entry was posted on Sunday, June 24th, 2012 at 12:14 pm and is filed under Gear. You can follow any responses to this entry through the RSS 2.0 feed. Both comments and pings are currently closed.